For the most part, AC rotors are reliable and don’t require much maintenance. However, when they have problems, the operation of your machine is compromised. It may be time to consider industrial rotor repair. But what are the warning signs? It’s possible that your AC rotor has incurred damages without you knowing. If the performance of your machine has noticeably changed, you need to quickly diagnose the issue. This will help determine if professional repair services are needed. But first you need to know what to look for. In order to determine if rotor repair services are necessary, you need to know what’s going on with your machine. The AC rotor could have run into a serious problem. If an AC rotor runs into issues, broken rotor bars are the likely culprit. These bars carry the electrical current that is produced by the rotor. Let’s examine some common symptoms related to broken rotor bars. Damaged rotor bars are often caused by frequent starts and high load capacity. In fact, the length of rotor life may be directly connected to the number of starts. If the machine fails to start, this could be related to the rotor’s inability to produce enough torque. Too many starts under high load capacity could have caused damage to the rotor bars. Rotor repair may be your only option. If the rotor bars have been damaged, they can strike the stator winding. This will cause serious motor failure. If your machine fails to start, this may have happened. Another symptom of broken rotor bars is unexpected vibration. This is often in conjunction with unusual noise. Broken bars can cause speed fluctuations within the rotor. This can cause a wearing down of bearings and produce vibrations in the motor. This premature bearing damage can also be caused by the expansion of rotor bars. This is due to air pockets inside the aluminum rotor windings. This will inevitably lead to unexpected motor vibration and loud noise. If sparking occurs, the rotor bars in your machine may have been damaged. This is a serious issue, as it could lead to dangerous conditions in the workplace. If you notice sparking, you need to seriously consider industrial rotor repair. Higher temperatures can also occur within the rotor if bars have been damaged. When rotor bars are damaged, the remaining bars are taxed with carrying the additional current. The resulting high temperatures are detrimental to the rotor core and will cause permanent damage. If you’ve noticed any of the symptoms listed above, the rotor bars in your machine may have been damaged. It’s important that you diagnose and repair this problem quickly to avoid further issues. 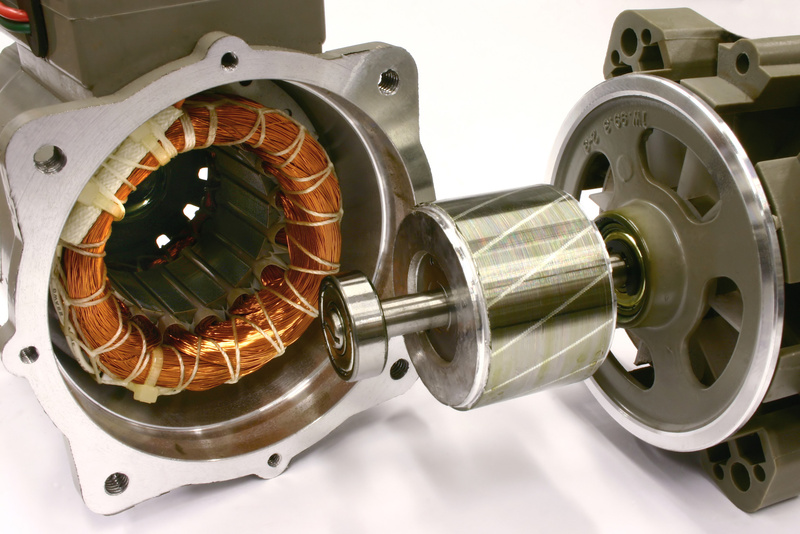 At Electrical Apparatus, we provide a full range of repair services for AC rotors. We can help diagnose the issue and provide the best possible repair solution for you. If you’re experiencing AC rotor problems, contact us to discuss your options.